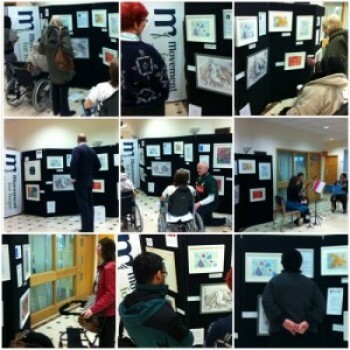 Neuro-creativity was an exhibition within a hospital setting, featuring rare and unique artists who discover their artistic talent after the onset of a neurological illness. The exhibition also has collaborative information from researchers at UCL Institute of Neurology about research on each condition featured. 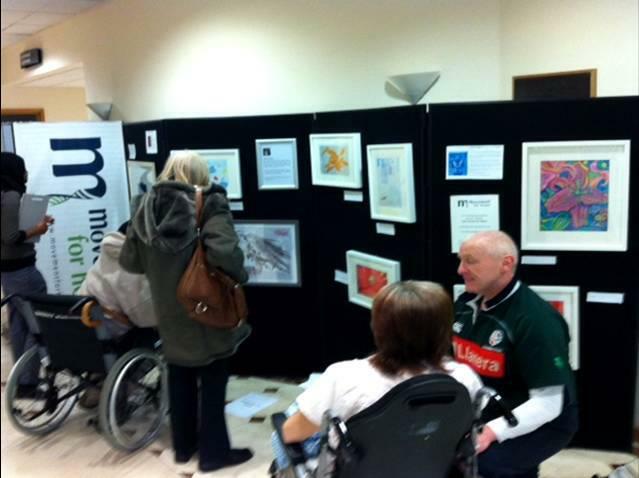 The exhibition aimed to raise awareness and potential funding support from painting sales, for the featured neurological conditions and inspire current hospital patients and viewers. Sarah Ezekiel: an artist with Motor Neurone Disease. Andy Wild: an artist with Brain Tumour and Epilepsy. Lisa Todd: an artist with Cervical Dystonia. Sarah: 100% of proceeds go towards adaptive eye-gaze equipment. Andy: Paintings are for awareness only. The exhibition saw over 2,000 people. We received a substantial number of comments in our comments box that can qualitatively be assessed as having impacted several patients, families, clinicians, researchers, and lay public members.